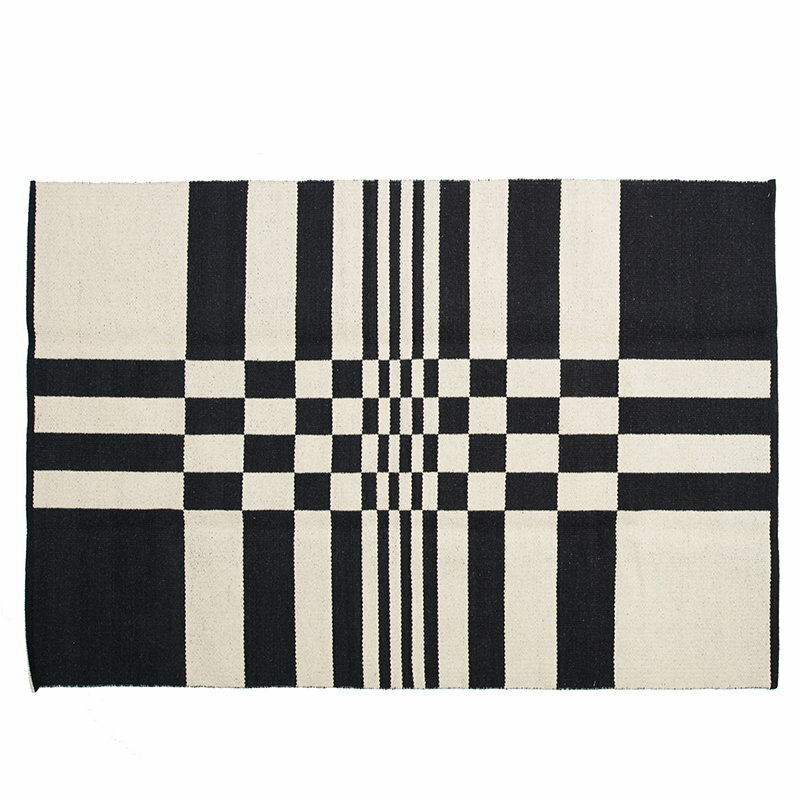 Johanna Gullichsen’s Gaia rug is made of soft, luxurious blend of cashmere wool and cotton with a strong, graphic pattern. The rug belongs to Johanna Gullichsen’s Normandie collection, inspired by the era of luxury ocean liners and slow, elegant way of traveling. The reversible rug is handwoven in India, and part of its profit is donated to the education of the community's children. Vacuum clean, professional cleaning if necessary. Finnish textile designer Johanna Gullichsen was born in Somero, Finland and studied art history, literature and languages in the University of Helsinki before starting her weaving studies in Porvoo. Today she runs her own brand which is specialized in woven textiles for modern living. 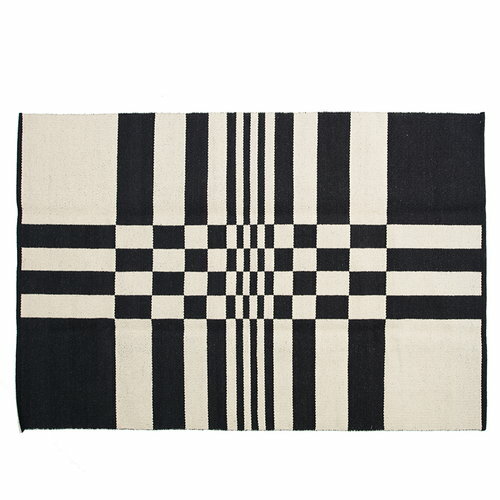 Gullichsen is inspired by handweaving and experimenting with different techniques, and that’s how most of her designs are born.